Sisters often share a special bond that's hard to define. With the exception of your parents, no one has known you longer than your sister, and you probably understand each other better than most friends or even significant others. After all, you share a long history together that most people won't quite understand. 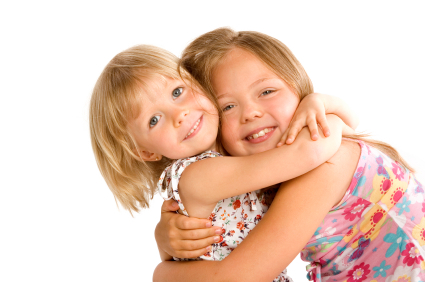 All of that childhood togetherness makes for a unique relationship, and whether you get along or don't see eye to eye, sisters are special and important in your life. If you're struggling to express just how you feel about your sister, many writers and philosophers have already tackled the subject. Are you writing a greeting card or letter and want to throw in a few famous quotes about sisters? Maybe your sister is getting married or having a birthday party, and you need to make a toast or speech. Here are some quotes to strike just the right tone for the occasion. Sisters can be allies or rivals. Sometimes they are partners in crime or the one to rat you out, but they will always be our sisters. Let's have a lighthearted look at the role of sisters. Whether you want to send your sister a note to make her laugh or need help explaining more complicated feelings, a famous quote about the meaning of sisterhood may help you get started. You may even find that it takes more than one to get across the singular nature of your relationship, so choose the ones that speak to you - and share them with your sister today. "Famous Quotes About Sisters." YourDictionary, n.d. Web. 24 April 2019. <https://quotes.yourdictionary.com/articles/famous-quotes-about-sisters.html>.